After an announcement in August that the NFL would commission Bose as the official headset brand for the league, a new ban will restrict players from wearing Beats by Dre headphones during all NFL-related broadcasts. The scope of the ban applies to “all TV interviews during training camps or practice sessions and on game day” according to Yahoo! Sports. Players will also be barred from appearing on-camera with Beats during postgame interviews up to 90 minutes after the end of each game. Players wearing the headphones during restricted times will face a fine by the league. The ban “isn’t expected to impact Beats’ promotional deals with NFL Pro Bowlers like Colin Kaepernick and Cam Newton” according to Rolling Stone though the rules will be applied to them all the same. 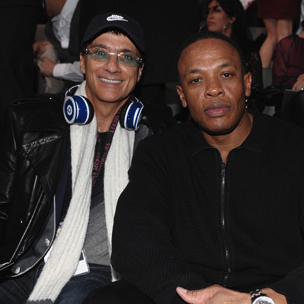 Beats by Dre has a 61 percent market share on headphones costing more than $100 according to Recode. Bose holds 22 percent of the same premium headphone space while Sony lags behind with 2 percent. The NFL ban follows similar restrictions put forth by FIFA during the World Cup soccer tournament (where Sony appeared as a sponsor). Besides Bose’s latest deal with the league, Microsoft reportedly pays up to $400 million for its Surface tablet to be used by coaches and players during games according to CNet.